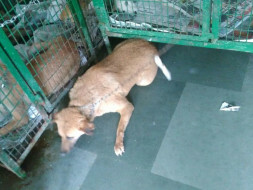 Matko is a 8 year old female dog who was born in Sector 56 Gurgaon outside Smriti Apartments. Since then she has been cared for and feb by me. This weekend when I went to feed her, she was nowhere to be seen. On enquiring with the guards, I was told that while Matko was sleeping peacefully under a car, the driver reversed in speed, ran over her and left her to die there. I don't know how she managed to pull herself and hide under another car that was parked nearby and kept lying there for 2 days without food and water until I finally found her. She was immediately sent to Friendicoes for treatment. 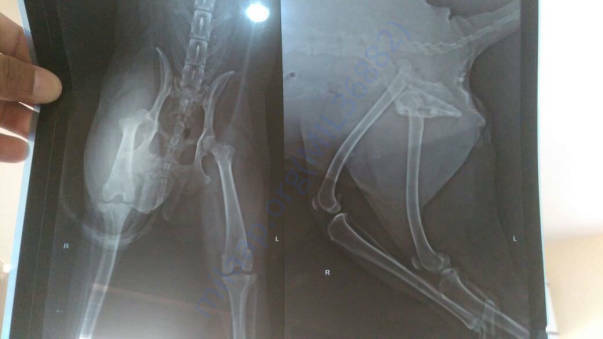 Her diagnosis says dislocation of femur of the right hind limb, internal injury at dorsal aspect of sacrococcygeal region leaving her PARALYSED. Only an orthopaedic surgeon can operate on her and give her a chance to live normally again. 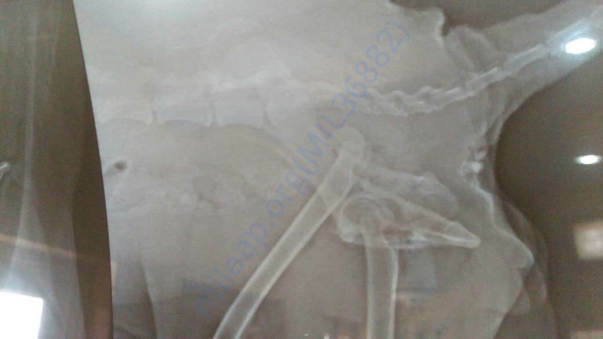 Max vets has kindly agreed to do the surgery at half the price which is 12.5K whereas actual cost is 25k. 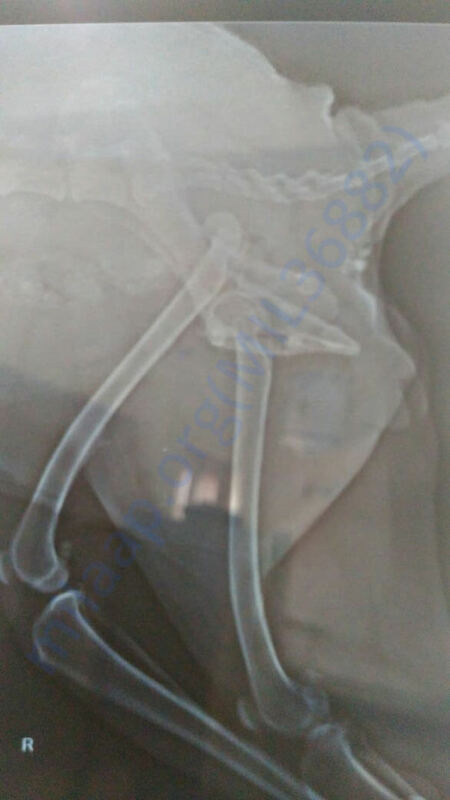 She will be needing medicines and other tests which will cost about 2-3k and then post recovery at 5K/Month. If you wish to enquire about Matko, you can call up Friendicoes Gurgaon anytime. 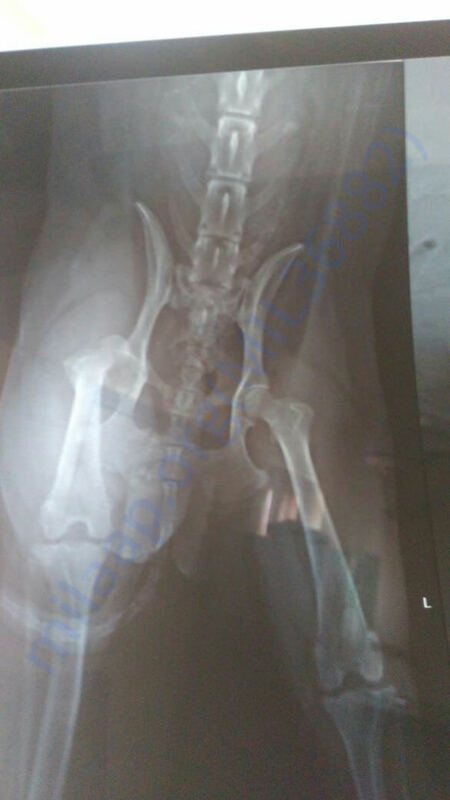 I am raising 25k for her treatment and recovery so she can walk again and is not left to die paralysed at the shelter. Please help me save Matko! I won't be able to do it alone.